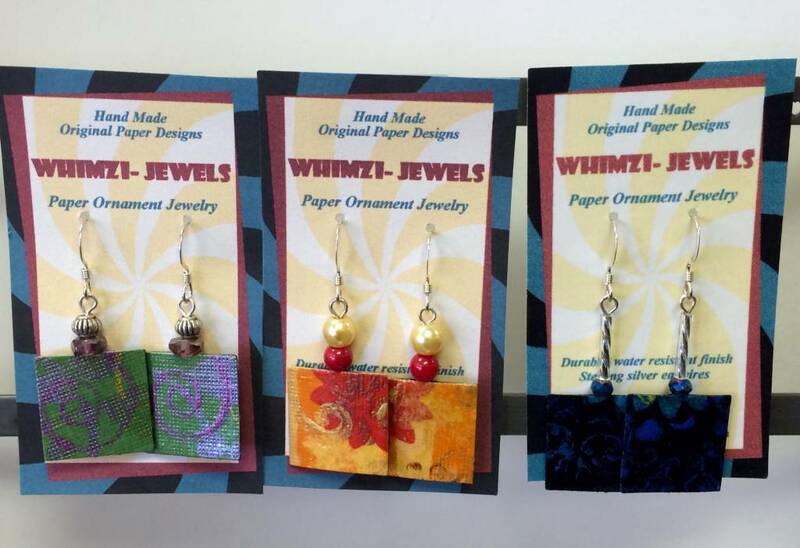 Whimzi-Jewels are hand made paper ornament jewelry items, made by Morse Hill Studios, LLC. 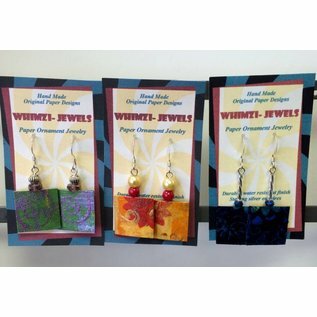 These unique earrings, pins and hair accessories feature original paper designs and are available in many shapes, and colors to complement any wardrobe and any occasion. Durable and water resistant. All items are handcrafted, so no item is exactly alike!